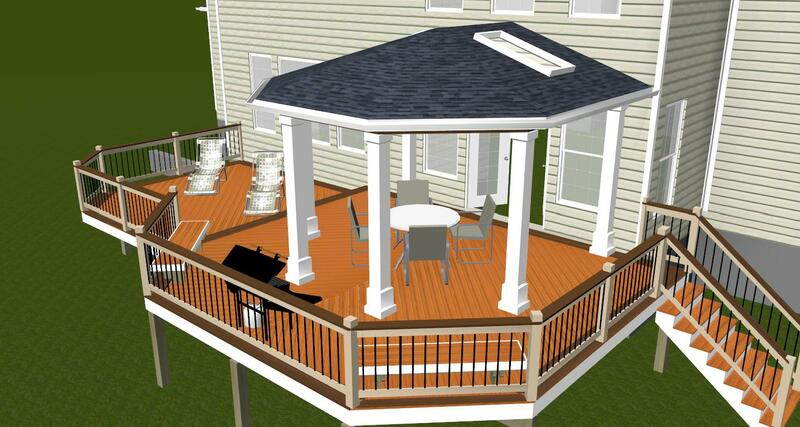 Custom pergola design choices. 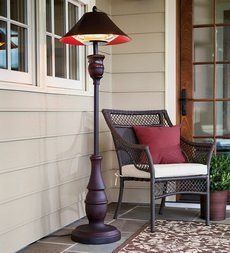 Form, sun, color, budget. 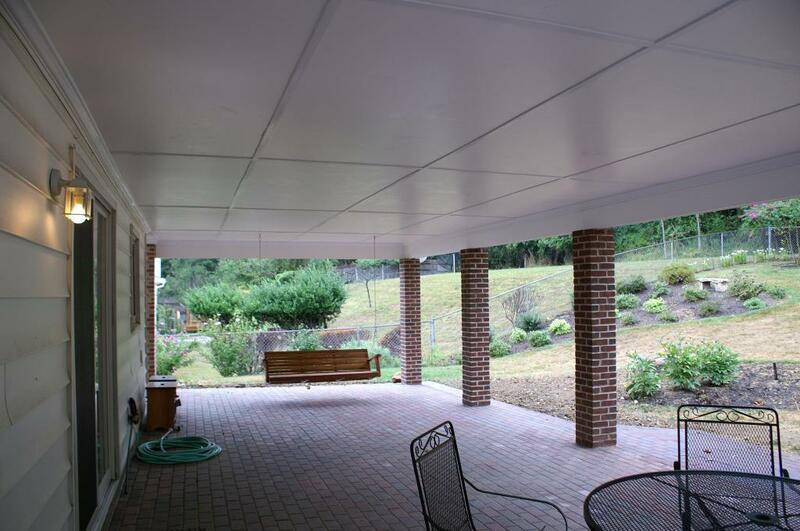 This composite deck is breathtaking when accented by this vinyl pergola. 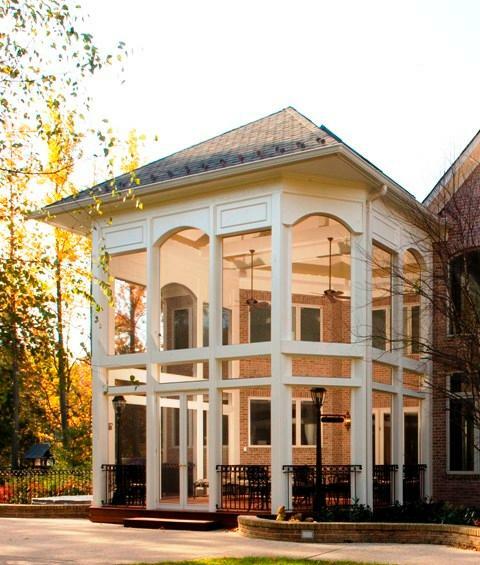 Not many outdoor structures have the ability to make as much of a statement as the pergola does. 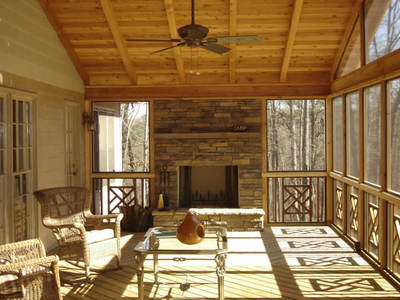 Whether it is paired with a deck, a patio or used as a freestanding structure within the landscape the pergola commands attention with its beauty as well as the individuality it can express through the choices in unique designs and range of materials it can be constructed with as well as with how you may use it as a decorative piece. 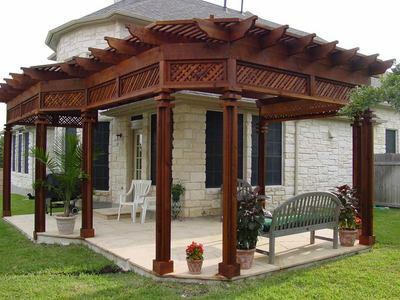 This wooden pergola has stunning trellis header details, and adds style to this patio. 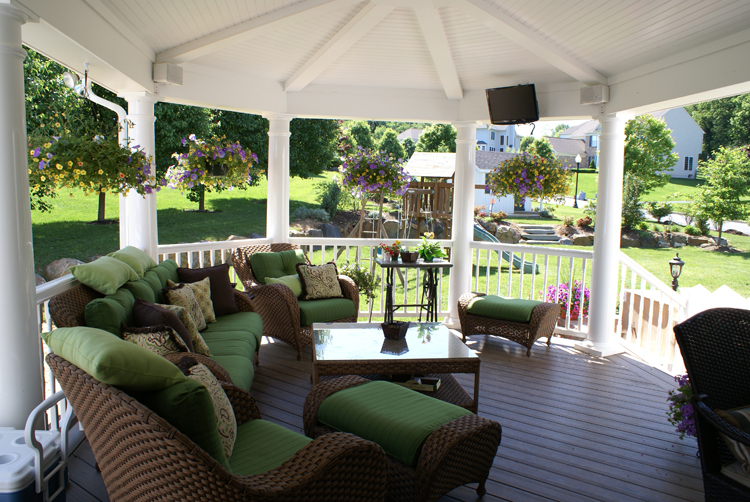 When the pergola is used as a secondary structure to accent a deck or patio it is not only aesthetically appealing it can serve many purposes from a standpoint of practicality. 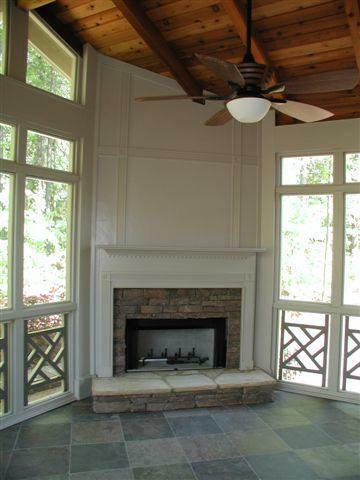 Pergolas can offer a shady retreat during a warm day. Many pergolas offer a modest amount of shade within the structure itself and can also be outfitted with an awning to provide even more protection from the sun. 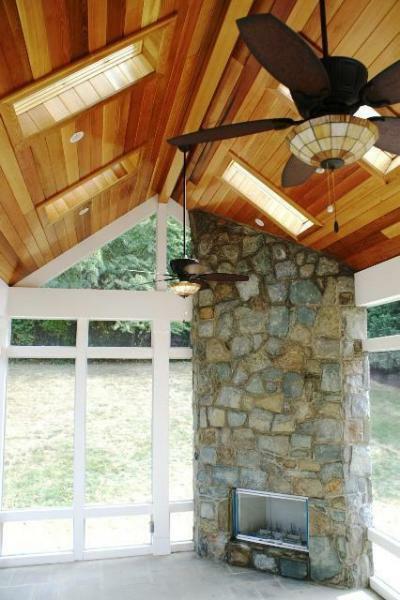 By increasing the number of, and spacing between the joists of the pergola you can increase the amount of shade within the structure itself. 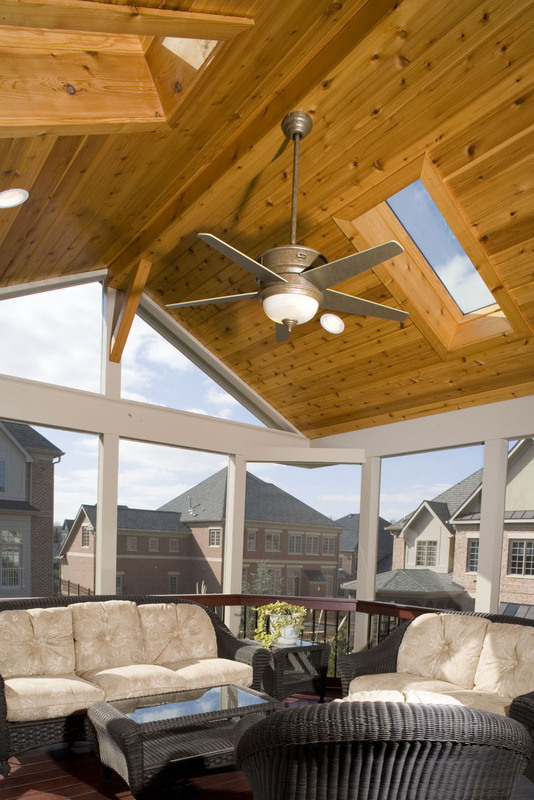 Taller joists also provide more protection when the sun is high in the sky. 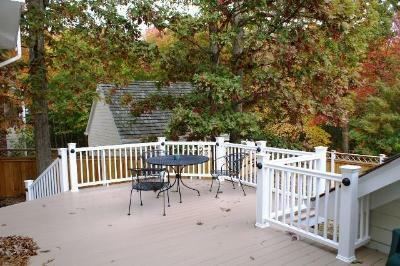 By adding lathing or lattice to the top of the pergola you can also provide a perfect place for many beautiful climbing perennials and annuals. 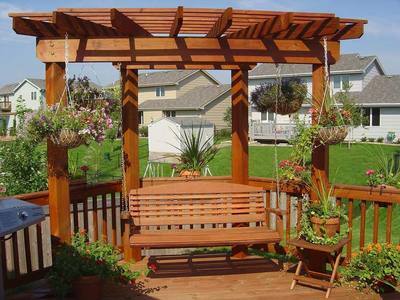 Last but not least, the pergola makes a perfect spot to add a swing or bench. 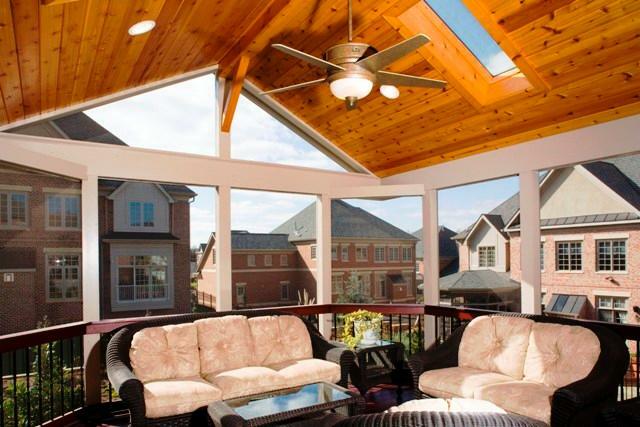 Ample seating within your pergola can turn this structure into a place of refuge and relaxation and will create an intimate spot to cozy up with a good book and spend the afternoon. 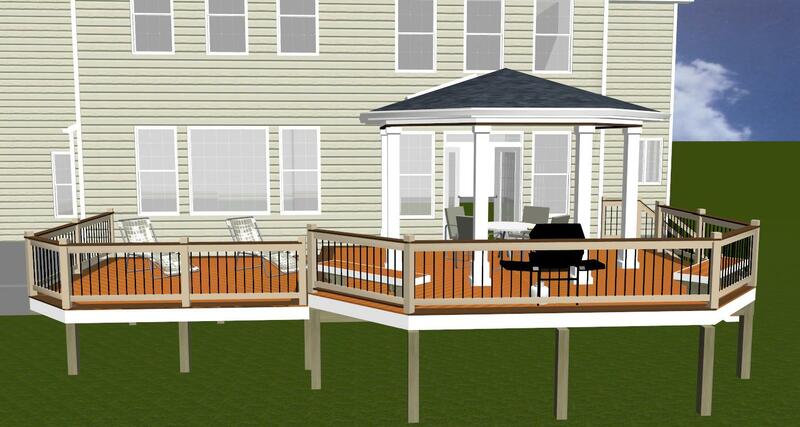 This corner pergola with swing serves as additional seating for this deck and creates an intimate spot to relax. 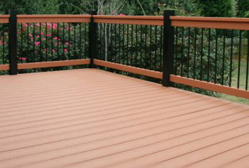 In terms of the material choices that are available for use when constructing your pergola, vinyl and wood are the most readily used. 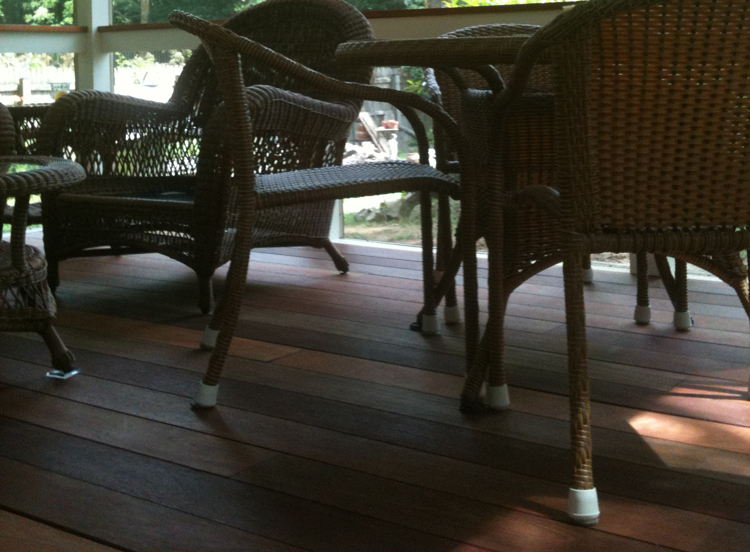 Vinyl is a bit more expensive than wood, but in terms of maintenance, the costs are well worth it. 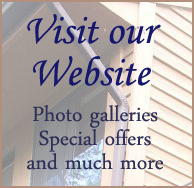 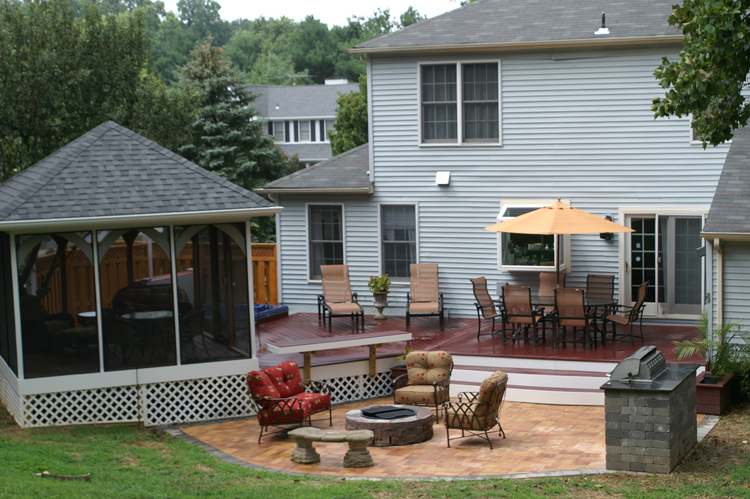 Vinyl will not weather like wood and you don’t have to worry about sealing or painting it. 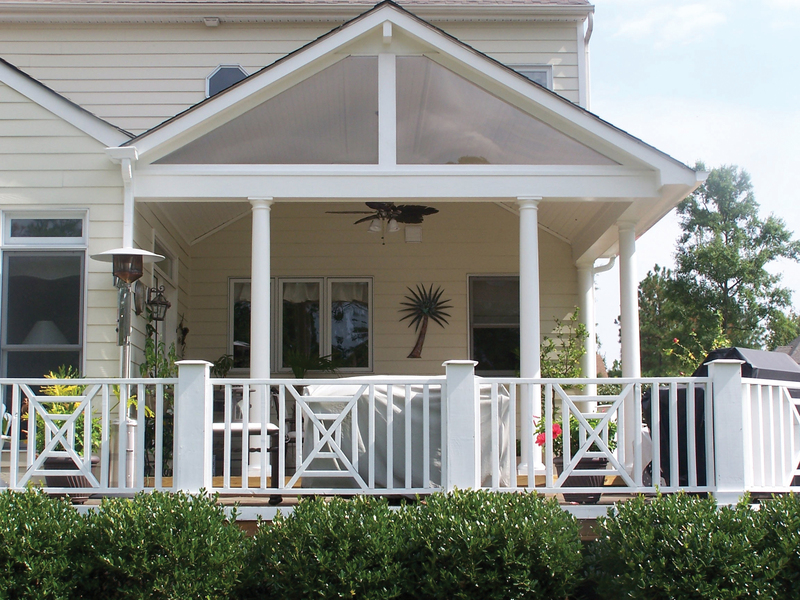 Right now, if you pick up any home and garden magazine you will most likely notice that a white pergola is a popular choice among homeowners. 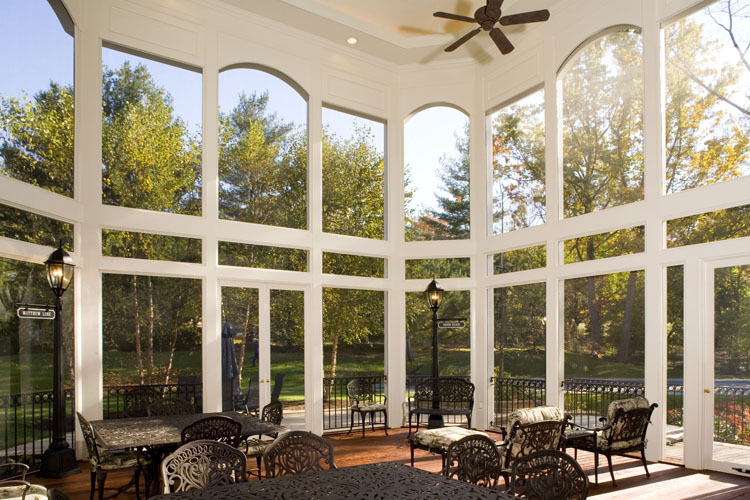 Detailed corners and decorative cuts can make your pergola a work of art. 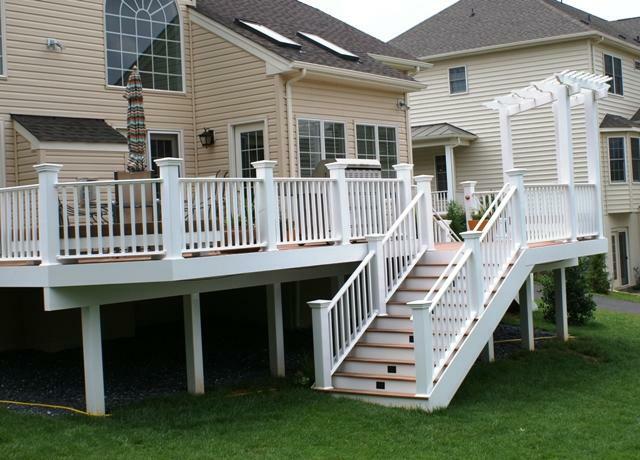 Archadeck of Maryland can use diagonal cuts to make the pergolas line’s more complex, as well as using decorative cuts on the ends such as an ogee cut. 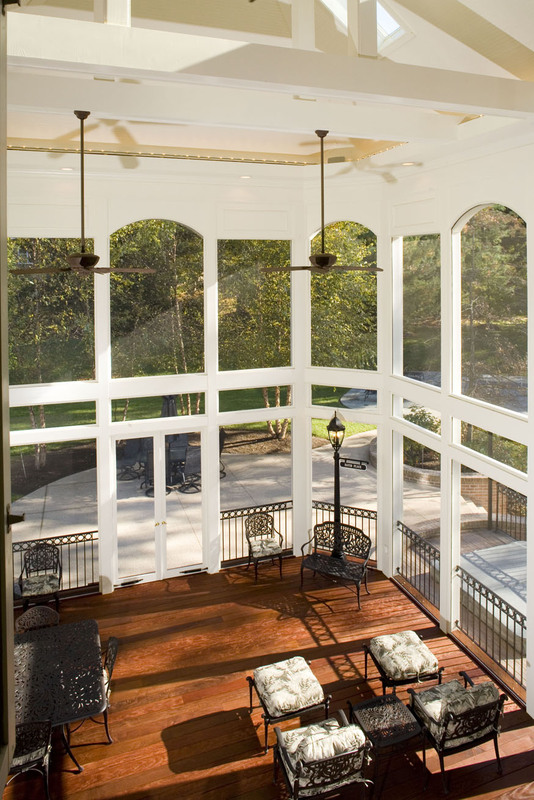 Gone are the days of a straight-laced pergola, the design choices and shapes are very creative in terms of what you can do and what you can add to your pergola. 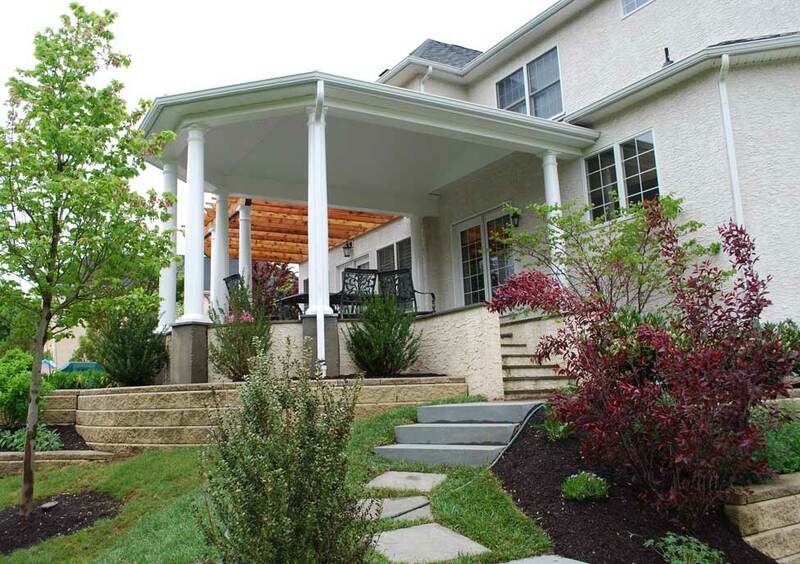 Pergolas indeed are a stunning structure, and if you plan your structure wisely it can also add a lot of value to your primary outdoor structures as well as your landscape as a whole. 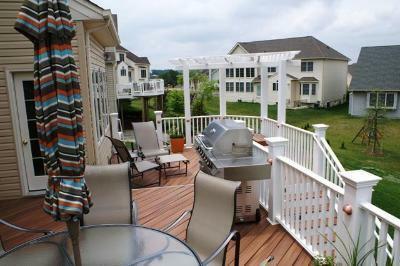 Creating an outdoor oasis with primary and secondary outdoor structures, such as a custom deck and pergola combination by Archadeck of Maryland is easy on any budget. 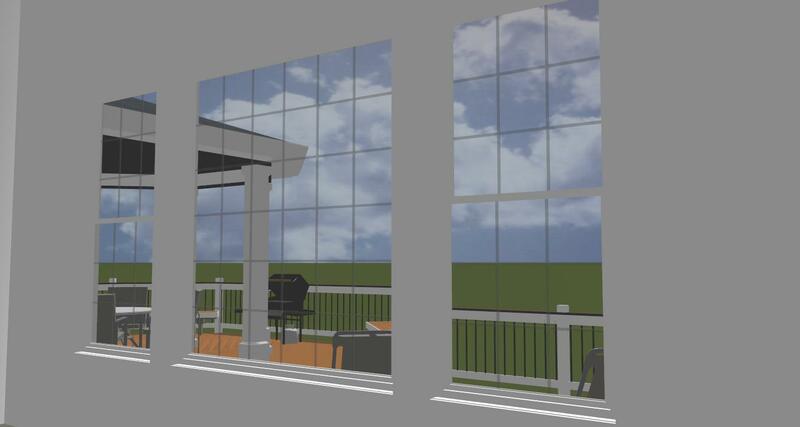 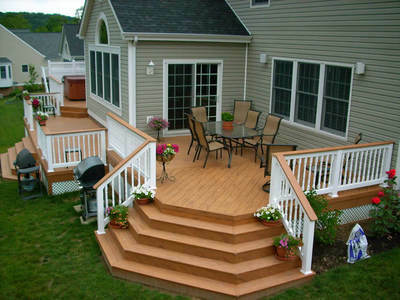 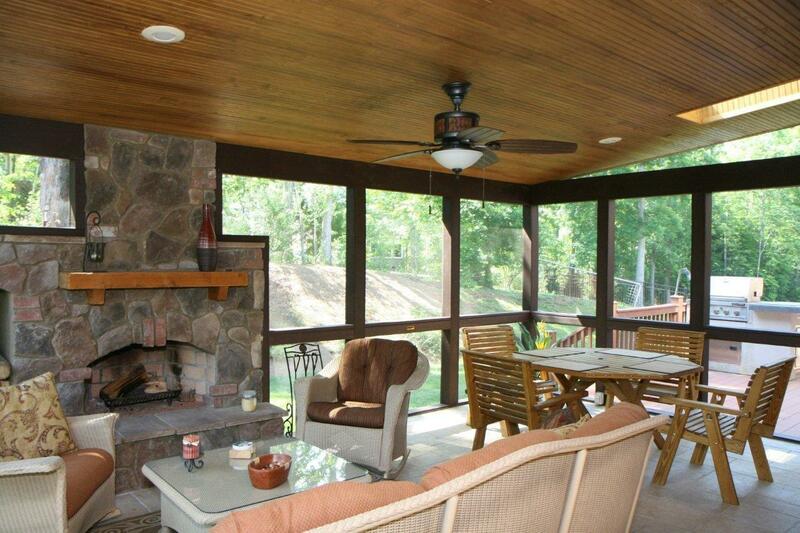 Archadeck of Maryland is able to offer homeowners the convenience of planned phased building. 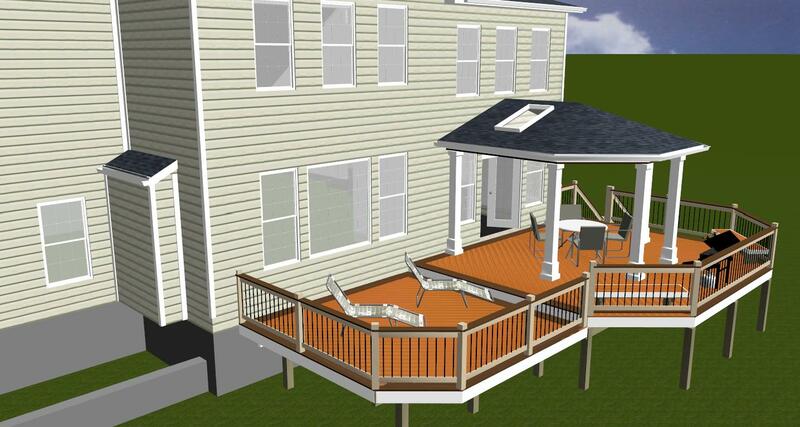 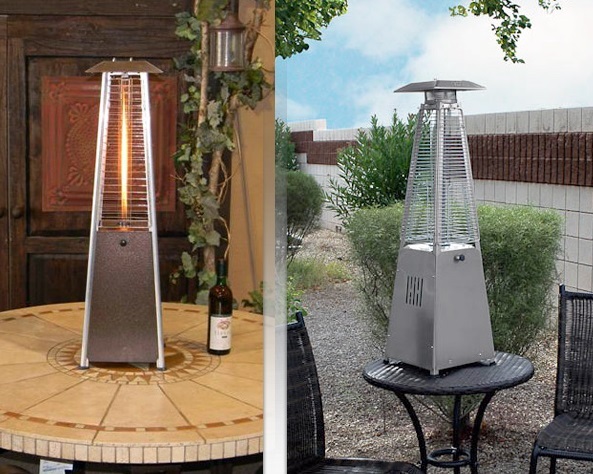 What this means is that you can begin your outdoor oasis with a deck or patio, and we can add to this primary outdoor structure according to what your comfort and budget will allow at various times. 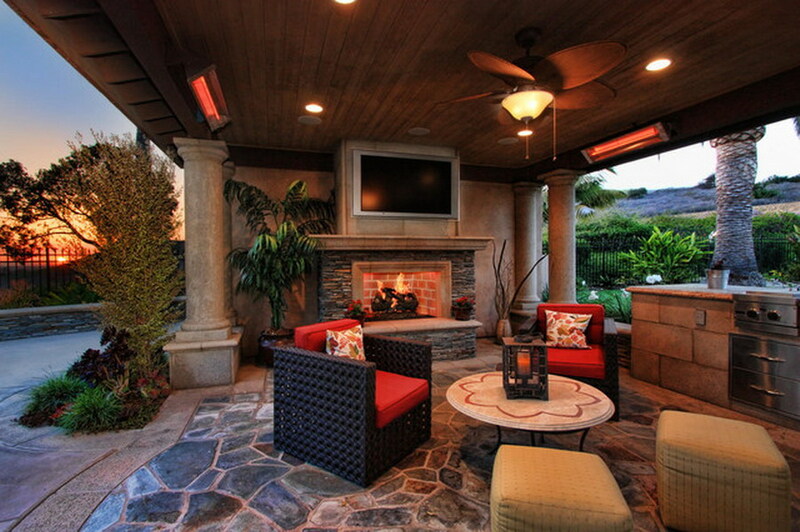 For instance, you may envision a deck with an outdoor kitchen or fireplace as well as a beautiful pergola. 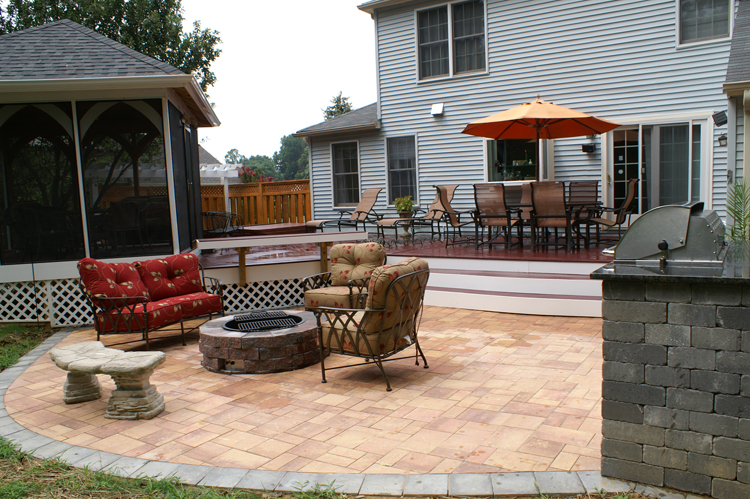 We can make that vision a reality by building the structures in phases, we can make sure the deck is built to be fireplace or outdoor kitchen ready. 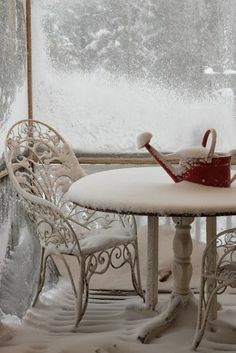 This means when you are ready, your primary structure is ready as well. 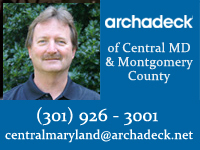 Archadeck of Maryland makes certain that your primary structure will support those additional phases so as to make it easier for growth.